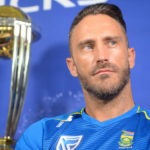 KHALID MOHIDIN looks at the various strategies and starting XI’s from the Proteas’ World Cup squad. 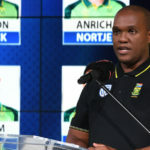 After hinting at a possible Aiden Markram or Hashim Amla snub, Linda Zondi announced a Proteas XV without Reeza Hendricks on Thursday. The unfortunate South African players who were left out of each World Cup squad. Keep up to date with all the breaking news surrounding the Proteas World Cup squad announcement. 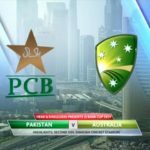 Australia completed a 5-0 drubbing of Pakistan during their tour of the United Arab Emirates, following a convincing 20-run win in the fifth ODI despite a well-played century by Haris Sohail. Usman Khawaja rounded off a magnificent March with a brilliant 98 as Australia swept Pakistan aside to complete a 5-0 ODI series whitewash in Dubai, writes SIMON LEWIS. Australia clinched a narrow six-run win over Pakistan in the fourth ODI despite twin centuries from opener and debutant Abid Ali (112) and Mohammad Rizwan (104) in Dubai. 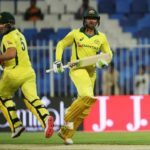 Glenn Maxwell scored a brilliant 98 not out as Australia scored a fourth straight win over Pakistan in the fourth ODI in Dubai on Friday. 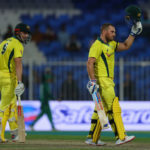 Australia secured a 2-0 lead in the five-match ODI series against Pakistan thanks to an imposing 153 not out by captain Aaron Finch in Sharjah. 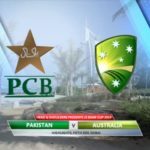 Australia took a 2-0 lead in their five-match ODI series against Pakistan at Sharjah on Sunday, with skipper Aaron Finch scoring a second consecutive century in another emphatic win for a resurgent Australia. 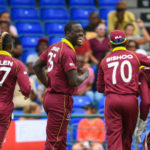 West Indies all-rounder Carlos Brathwaite is backing the Caribbean side to pose a challenge to the top teams in the upcoming ICC Cricket World Cup in England. 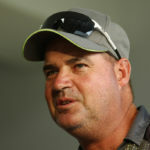 Australia’s batsmen have given notice that they are up for the challenge to defend their Cricket World Cup title after an eight-wicket win over Pakistan in Sharjah on Friday. 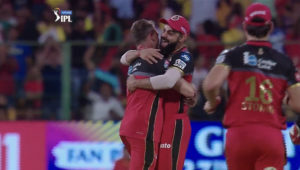 Australian captain Aaron Finch smashed a century against Pakistan to help his side to an eight-wicket win and bag Friday’s Play of the Day, writes ANITHA MADIKIZELA. Ireland will play host to both the West Indies and Bangladesh from 5-17 May in a tri-series as preparation for the two visitors for the ICC Cricket World Cup in England, according to espncricinfo.